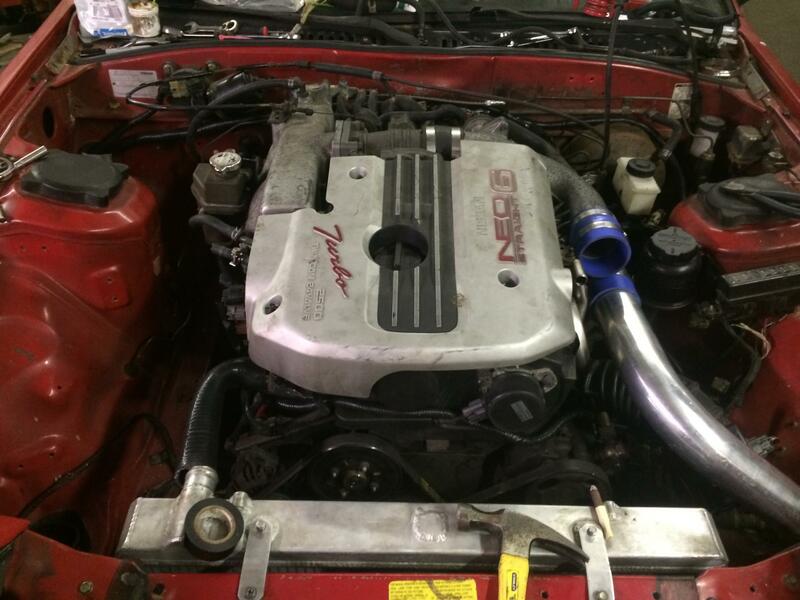 Rb25 Neo in an FC with fd smic mounted as a fmic, fd air separator tank, and t2 rear end. What do you guys think? Are you driving it yet? If so, did you have any problems with the wiring? Just asking because I am considering a swap using the same motor. I have done two RB20 swaps, mostly because they are cheap and seem to have plenty of power for normal driving. Nice! how is the hood clearance?